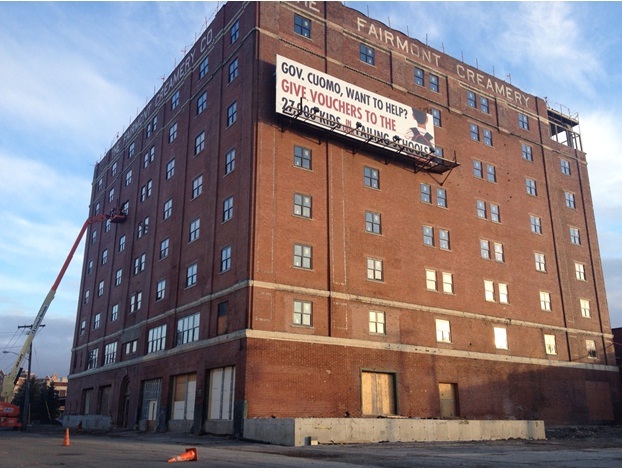 The Fairmont Creamery at 199 Scott Street is looking a whole lot better now that the eight-story building has windows. Ellicott Development is putting office space on the building’s sixth, seventh and eighth floors, thirty apartments on floors three through five, a banquet facility and meeting space on the second floor, and a restaurant on the ground floor. Employee benefits firm Liazon, recently acquired by Towers Watson, has signed a lease for 15,000 sq.ft. of office space, or one floor of the building. There will be on-site parking for 140 vehicles. 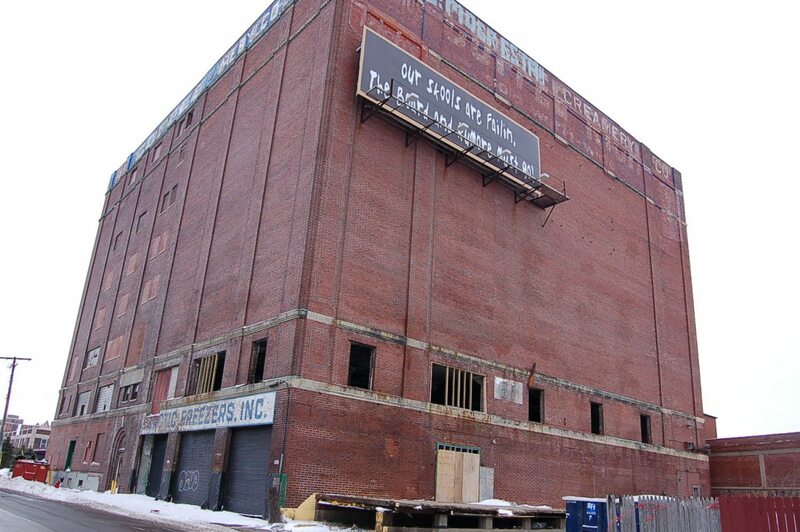 Built in 1920, the structure was last used by the Arctic Freezer Company as a refrigerated storage site for Rich Product Corp. A fire damaged the structure in June 1996 and its upper-floor windows remained open to the elements. 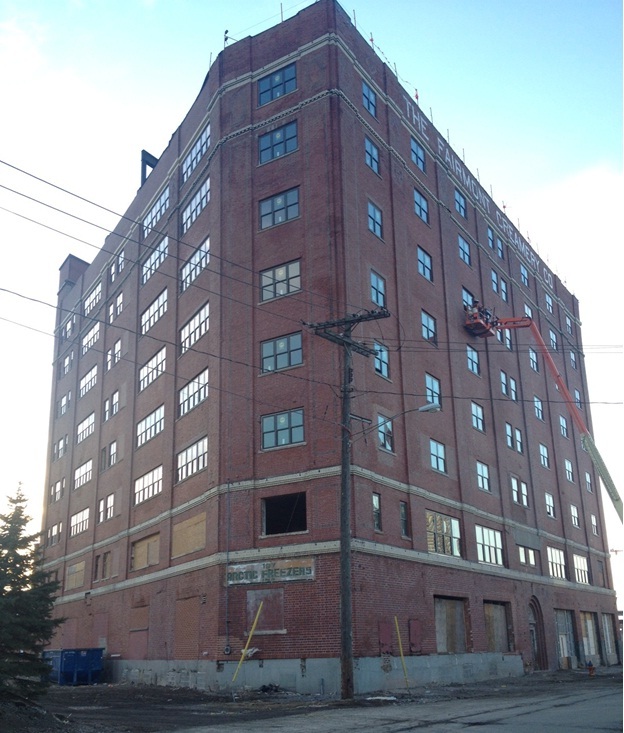 It sat idle for the past two decades and had been considered one of downtown’s major eyesores. The $14.6 million renovation was designed by AP Architects.